Myeloproliferative neoplasms (MPN), previously called myeloproliferative disorders, are a group of disorders characterized the overproduction of one or more blood cell (white blood cells, red blood cells, and/or platelets). Although you may associate the word neoplasm with cancer, it is not that clear cut. Neoplasm is defined as an abnormal growth of tissue caused by a mutation and can be classified as benign (non-cancerous), pre-cancerous, or cancerous (malignant). At diagnosis, most myeloproliferative neoplasms are benign but over time may evolve into malignant (cancerous) disease. This risk of developing cancer with these diagnoses underlines the importance of close follow-up with your hematologist. The classifications of myeloproliferative neoplasms has changed quite a bit over the last few years but we will review the general categories here. Polycythemia vera (PV): PV results from a genetic mutation that causes the overproduction of red blood cells. Sometimes the white blood cell and platelet counts are also elevated. This elevation in blood counts increases your risk of developing a blood clot. If you are diagnosed with PV, you have a small chance of developing myelofibrosis or cancer. Essential Thrombocythemia (ET): The genetic mutation in ET results in an overproduction in platelets. The increased number of platelets in circulation increase your risk of developing a blood clot. Your risk of developing cancer when diagnosed with ET is very small. ET is unique among the MPNs as it is a diagnosis of exclusion. That means your doctor will rule out other causes of elevated platelet count (thrombocytosis) including the other MPNs. Primary Myelofibrosis (PMF): Primary myelofibrosis has previously been called idiopathic myelofibrosis or agnogenic myeloid metaplasia. The genetic mutation in PMF results in scarring (fibrosis) in the bone marrow. This scarring makes it challenging for your bone marrow to make new blood cells. In contrast to PV, PMF generally results in anemia (low red blood cell count). The white blood cell count and platelet count can be increased or decreased. Chronic Myeloid Leukemia (CML): CML may also be called chronic myelogenous leukemia. CML results from a genetic mutation called BCR/ABL1. This mutation results in the overproduction of granulocytes, a type of white blood cell. Initially, you may have no symptoms and CML is often discovered incidentally with routine lab work. Juvenile Myleomonocyic Leukemia (JMML): JMML used to be called juvenile CML. It is a rare form of leukemia that occurs in infancy and early childhood. The bone marrow overproduces the myeloid white blood cells, particularly one called a monocyte (monocytosis). Children with neurofibromatosis type I and Noonan syndrome are at higher risk of developing JMML than children without these genetic conditions. 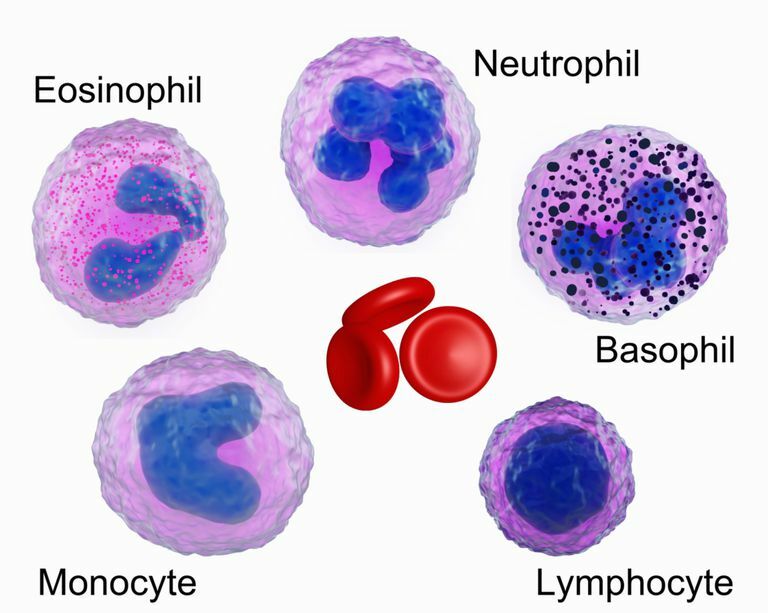 Chronic Neutrophilic Leukemia: Chronic neutrophilic leukemia is a rare disorder characterized by overproduction of neutrophils, a type of white blood cells. These cells then can infiltrate your organs and cause enlargement of the liver and spleen (hepatosplenomegaly). Chronic Eosinophilic Leukemia/Hypereosinophilic Syndromes (HES): Chronic eosinophilic leukemia and hypereosinophilc syndromes represent a group of disorders that are characterized by increased number of eosinophils (eosinophilia) which results in damage to various organs. A certain population of HES act more like myleoproliferative neoplasms (hence the name chronic eosinophilic leukemia). Mast Cell Disease: Systemic (meaning all over the body) mast cell disease or mastocytosis is a relatively new addition to the category of myeloproliferative neoplasms. Mast cell diseases result from the overproduction of mast cells, a type of white blood cell which then invade the bone marrow, gastrointestinal tract, skin, spleen, and liver. This is in contrast to cutaneous mastocytosis which only affects the skin. Mast cells release histamine resulting in an allergic-type reaction in the tissue affected. Roufosse F, Klion AD, and Weller PF. Hypereosinophilic Syndromes: Clinical Manifestations, Pathophysiology, and Diagnosis. In: UpToDate, Post TW (Ed), UpToDate, Waltham, MA. Teferri A. Overview of the Myeloproliferative Neoplasms. In: UpToDate, Post TW (Ed), UpToDate, Waltham, MA. Van Eatton RA. Clinical Manifestations and Diagnosis of Chronic Myeloid Leukemia. In: UpToDate, Post TW (Ed), UpToDate, Waltham, MA.